Using Bingara as a base there are many delightful half and full day drives which will take you into the hills, valleys and beyond. Whether your interest lies in Geographical Wonders unique to this area, or Historical steps back in time, or whether you simply want a relaxing day out, we have it right here on our doorstep. The Bingara Visitor Information Centre has extensive information on where you might travel within your time frame, based around your areas of interest. Bingara has it all. Tell us what you want and we’ll tell you where to find it! A trip to Upper Bingara is a must. Who would believe a thriving town once stood there? 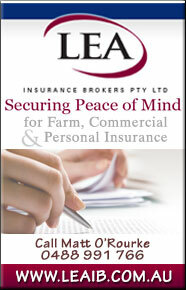 The mighty Copeton Dam is just a short drive out of town on the Keera road, about 45km. Be sure to stop off at the Batterham Lookout just outside town past the hospital on the way. The Bingara District is a fossickers paradise. Whichever way you take out of town you will find a spot to fossick. Mudmaps are available from the Visitor Information Centre. Also available at the centre is an excellent brochure detailing the Geological Drives which are part of the Fossickers Way. The Horton River pulsates straight through the extremely picturesque Horton Valley. Its tributaries are crystal clear and abundant with water, animals and fish. The valley boasts a number of marked geological sites, details of which are available from the Visitor Information Centre. Like Bingara, Upper Horton has a proactive, vibrant community that means you are never stuck for something to do! If you prefer two wheels to four forget the car and grab your bike! There are several charted bike tours or follow your own path. 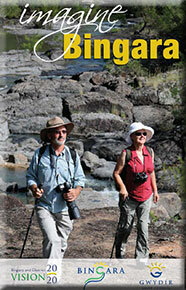 Visit Cycle the Bingara Region page to download the maps or pick them up from the Bingara Visitor Information Centre.